Keep your teeth healthy for longer time. Book your appointment for free dental checkup and consultation. Preventative care is the base of dentistry. Dr. Reena(dentist in vip road zirakpur) strongly believes in taking a pre-emptive stratagem towards dental care. Endorsing healthiness through precautionary and routine hygiene care is the soul of our practice. 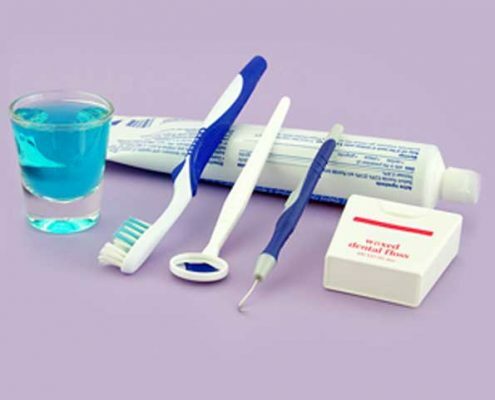 Other than cleaning your teeth, we monitor your health and catch latent problems prematurely. We provide you with any answers that you might have about our techniques and products as we aim to help you retain and maintain your teeth for a lifetime. It is not a widely known fact that Indians are less and less likely to visit the dentist as they grow up. According to the Centers for Disease Control only 57 percent of Indian, after the age of 65, visited the dentist in 2010. That means that 61% adults under the age of 65 and round about 79% of children between the ages of 2-17 visit the dentist. Nevertheless, it is of utmost importance to visit your dentist for cleanings and oral examinations on a regular basis. Its never too late, visit smilewide dental clinic ( dentist in vip road zirakpur ). After my visit, how should I take care of my teeth? Be sure to retain healthy oral habits at home, in between your dental cleanings and examination sessions. Floss daily and brush your teeth after every meal using a fluoridated toothpaste. What would happen at my cleaning and examination session? A visible examination of the teeth and gums will be conducted during your cleaning and examination session. In case you’re visiting the dentist after a long time, an x-ray may be required for a more thorough view of your teeth. You’ll also consult with Dr. Reena Gusain about any oral health problems you may have been having or questions that you may have. Then you will have your teeth cleaned by a dental hygienist using specific tools to remove the persistent plaque from your teeth. To conclude, your teeth will be polished before Dr. Reena Gusain discusses any treatment recommendations he may have for you. Is it necessary for me to have my teeth cleaned professionally? Yes, it is. Even if brush and floss on a regular basis, twice a day, plaque can amass in the most minuscule gaps, furrows and pits. Ultimately, the teeth that has plaque will decay and cause an extreme amount of pain and fractional or complete tooth loss.